The title comes from the “which way is it pointing” character on the eye chart. This is a solo effort by Otso Pakarinen, who plays mostly everything: keys, percussion, guitar. But, he does not sing. On opening, the CD sounds a bit keys heavy, but it does settle into some nice balanced arrangements. Otso has a variety of influences and he uses them quite well in his compositions. There are pieces of gamellan, technical prog, heavy techno bass, and a variety of synth stuff. Overall, it’s pretty good music. While not extremely technical, it just has that feel. There’s a lot of variety, so it never really gets boring. 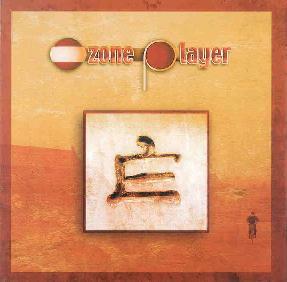 For more information you can visit the Ozone Player web site at: http://www.ozoneplayer.com.